This is a pretty Vintage Girl Clip Art piece! This one is an old Victorian Die Cut Scrap piece, possibly used as an advertising piece, although she doesn’t have any type of branding on her. 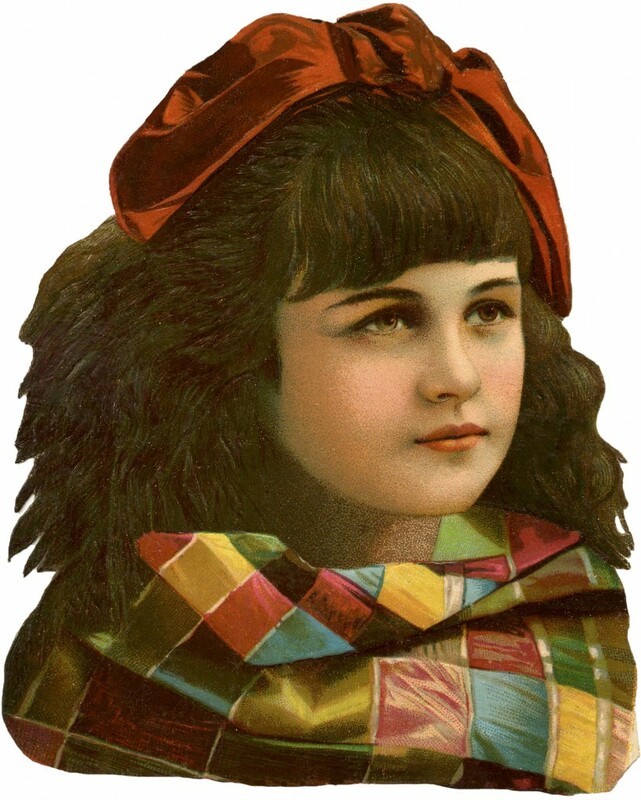 The young Girl shown above is all bundled up in a beautiful multi colored silk scarf. She’s also wearing a rust colored Silk Bow in her hair. Such nice Fall tones in this one and her face is especially pretty! A wonderful image to use in your Autumn Craft or Collage projects! 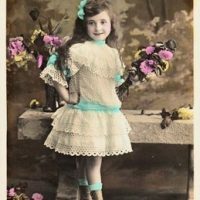 Antique Dancing Children Image Vintage Postcard – Adorable Little Girl Darling Vintage Seashell Baby Image! this is truly lovely. thanks for sharing! I love the gorgeous fall colors and her beautiful face. Thanks! Thanks so much for a lovely image with fall colors. I will make good use of this for some cards this fall!